This property is new to our portfolio and furniture is currenty being purchased. New photos will be published in early October. Feel the buzz and convenience of fabulous Richmond while enjoying your stay at Somerset Terrace which is nestled in a quiet tree lined street. 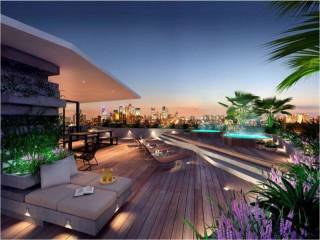 Somerset Terrace is a spacious, pet friendly, 2 bedroom townhouse set over 2 levels. 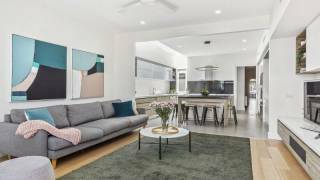 Downstairs you will find fabulous timber floors, a spacious lounge (TV with Foxtel) to private northern courtyard, a central, fully equipped kitchen, euro laundry and light open plan dining room with a study area, overlooking a private rear courtyard. Upstairs you will find 2 spacious bedrooms with built in wardrobes, both with split heating/cooling units, and a central bathroom with a separate bath and shower. The bedding configuration offers flexibility with a king in the master bedroom and a split king in the 2nd bedroom which can either be set up as a king bed or 2 singles. The front private courtyard, while small, offers an area to enjoy the morning sunrays while relaxing on a chair reading a book or paper. The rear courtyard invites you out on a balmy summer’s night to enjoy a BBQ before heading out to see what the local area has to offer. 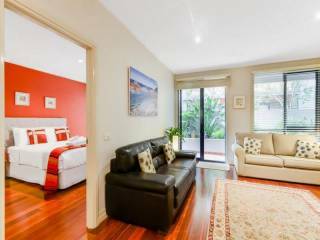 Somerset Terrace is ideal for families of up to 4 requiring relocation accommodation in Melbourne and it is a fantastic holiday house for those on vacation in Victoria. If you are seeking executive accommodation for those on business travel you will be impressed with this property and its convenient location close to the Melbourne CBD. Somerset Terrace is conveniently located for those who like to attend Melbourne's annual sporting events such as the MCG for the AFL Grand Final, Melbourne and Olympic Parks and the Rod Laver Arena for the Australian Open. Somerset Terrace is also close to the Epworth Hospital and St. Vincents Hospital and it's just 15 minutes by tram to the Melbourne CBD where you can visit the Arts Centre and Federation Square.